The CFP for ASE'17 is released! 2017 USENIX Workshop on Advances in Security Education (ASE'17), August 15, 2017, co-located with USENIX Security in Vancouver, BC. ASE is dedicated to serving the security education community, as a venue for cutting-edge research, best practices, and experimental curricula in computer security education. Submit your good work to ASE, and join us in Vancouver! 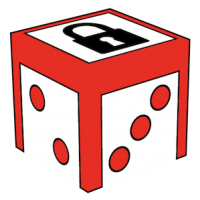 We are excited to announce a new workshop, the 2016 USENIX Workshop on Advances in Security Education (ASE'16), August 9, 2016, co-located with USENIX Security in Austin, TX. ASE is dedicated to serving the security education community, as a venue for cutting-edge research, best practices, and experimental curricula in computer security education. Submit your good work to ASE, and join us in Austin!